The only runway directly into the magic kingdom has been closed since 1972, but it still sings to you if you drive fast enough. Sorry, "Singing Runway" at the Abandoned Disney World Airport is permanently closed. 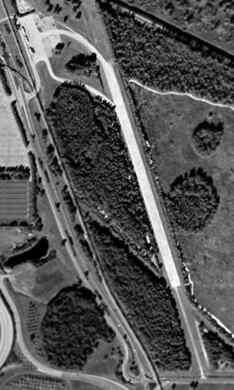 Known as the Lake Buena Vista STOLPort runway, what appears to be just a wide spot in a side road was once a landing strip for small aircraft flying between Disney World and the central Florida international airports. The humble final home where the famous beat author wrote one of his most famous works a popular pilgrimage site for fans on the road. Built in 1970 (or 1971, it is unclear) the runway was only used for a year or two–by Shawnee airlines, the only airline ever to fly directly into the Magic Kingdom–before flights were discontinued. The area is now used as a backstage parking and storage lot and is easily accessible by turning right under the monorail before entering the Magic Kingdom parking area. The closed runway was at one time used as a training area for Disney’s bus drivers, which revealed a hidden surprise for the trainees. Originally used to surprise the airplane passengers, the set of grooves, like those on the side of a highway, that line this runway play “When you wish upon a star” when driven over at roughly 45 miles per hour. Curiously, even if a plane desired to land on this musical runway it would be unable to do so, for multiple reasons. In the late 1970s the elevated monorail was extended near the end of the runway, making landing a plane there much too dangerous. Even Disney’s official plane “Mickey Mouse One” was forced to land on “World Drive” rather than Disney’s own abandoned runway. 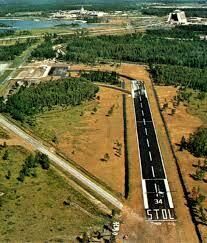 Despite the many reasons that no planes will ever again land on the Lake Buena Vista STOLPort, the Magic Kingdom’s musical runway remains, waiting to “wish upon a star” with you. 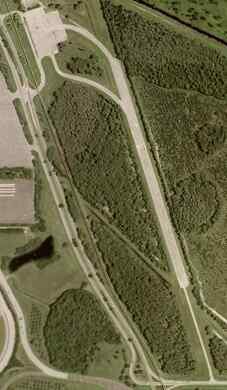 Update: Though the airstrip itself still exists, the set of musical grooves was removed in 2008 and can no longer be experienced. The singing runway is past the parking fee booth, we were able to get in without paying but there were cars and trailers parked pretty tight, couldn't get up to speed or on the correct grooved portion of the pavement. Hundreds of skulls and bones at the largest skeleton museum in the country. An ingenious Dutch land art project uses grass ridges to cut airport noise pollution in half.